This entry was posted in autism experts and tagged Anxiety, autism theories, autistic, autistic children, beliefs, Bruno Bettelheim, compassion, emotions, feelings, inaccuracy, London McCabe, love, love reciprocated, misinformation, murder, NBC News, non-speaking Autistic, parents who murder, refrigerato mother. Bookmark the permalink. I am saddened by this news. It hurts really bad. My heart goes out to all mothers, farhers and guardians of students with ASD. I am going to give each one of my students a huge long lasting hug this morning. Yes. Could they at least try to listen o autistic people bout autism? This would be nice. I hate these stories and i hate how autistic lives do not count. My precious 3 year old grandson has ASD and is non-verbal. He is the sweetest, most precious little boy. Although he doesn’t show his emotions in the same way as “normal” 3 year olds, he is very clear about his feelings and emotions, if we pay attention. I wouldn’t change him or trade him for anything in this whole world. 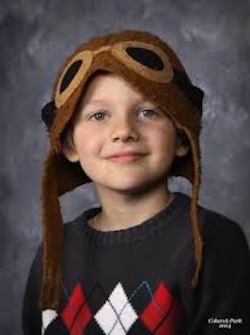 This story of the tragic loss of this boy is devastating. What is wrong with people?? Self absorbency, I believe is the problem. 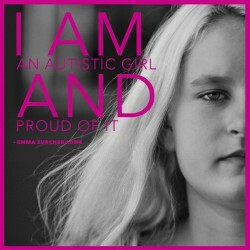 Love your blog, Emma is an inspiration. The professor who made those statements needs to be educated and yes, why wouldn’t anyone who wants to know about autistics read the blogs. I came late to blogs written by people with autism, many years late. I didn’t know they existed. Many educated people I know; those who are parents of autistic children and professionals who work with children with special needs are unaware of the blogs. In what other ways can autistics spread the word so that many millions of people can know the truths? In what ways can autistics become more visible and vocal about misconceptions, lies, speculations, fears etc? We need to “hear” from professionals with autism through mainstream media. 1) people happening to make a blog entry by accident that resonates with you although they know nothing about you; if you see a lot of the junk that passes for facts in the foul depths of the Internet, you can see how hard it would be to accidentally pull a highly resonant truth you would not be capable of knowing out of your posterior. And I mean truth, not Trumpisms. 2) somebody (or a few somebodies) being such a tremendously good hacker as to not only set up hundreds if not thousands of blog profiles in different media but also to be able to dredge up hundreds of thousands of private photos not found elsewhere on the internet, such a tremendously good computer animator as to be able to fake hundreds of photos and film hundreds of videos, many of them several minutes long, about people other than them that look 100% real and do them, in some cases, within the span of less than a month (less than a day even), so good at managing time as to be able to manage the separate asks on hundreds of blogs and fake those asks within a realistic time period (wow, this person/people must have the mother of all Time-Turners! ), and that same person being such a tremendously good writer as to not only being regularly able to write hundreds of blog entries in a single day, but to effortlessly mimic hundreds of different writing styles. Wow, what an impressive performer! It is clear that, in light of this evidence I have, being an autistic for whom many of those blog entries resonate and others nearly resonate, that the most parsimonious explanation for this truly miraculous phenomenon on my end is that the blog entries were genuinely written by hundreds of autistics, each of them with their own insights and experiences. This is a terrible thing, but the psychologist didn’t say anything different from what you’re saying, just in a different way. He didn’t say autistic kids don’t feel love, he said they don’t experience the love. Which is what you said when talking about them not reciprocating the way non-autistics understand, etc. Just different wording. You act like she was justifying it, or blaming the kids, which is not anything like I’m seeing here. She’s just talking about how hard it can be – same as you. Don’t demonize other people who are trying to help, just because there isn’t enough hand-wringing in their language for you. Saying a group of people do not feel love for their parents is NOT the same as saying that the love felt is expressed in ways that are different from the ways in which the parent might express it. This one hit close to home. My Nathan is about 2 months younger than London. The hardest part about this, for me, is that at this age, there is such a level of trust between the parent and the child. Honestly, if I took Nathan up on a bridge and picked him up to throw him off (which I would NEVER do….no one needs to hunt me down and call cps….all is well here) he would let me do it, because he trusts that I wouldn’t do anything to hurt him. That’s the part that really gets me….that London probably thought he was out for a fun walk….and how scared and confused he must have been on the way down. As for the autistic expert who said that she is surprised that this doesn’t happen more….that’s just an invitation for this to happen more often. She’s one step away from endorsing this. ~Humor saves face~. That’s what a social worker told us parents in a talk I attended years ago and I took it as gospel truth. Good call, Emma. We all are human, and true laughter heals. It signifies a trust. I think the fear engendered by people who should know better just shows the inadequacy and the weakness of their “expert opinion”. Fear mongering is for cowards. Cowards, I tell ya….and Ariane, that is one thing you are not. I am sorry for little London. No child deserves that. Maybe we need ABA for murdering parents, so they can learn to be human. A part of me thinks that the warning signs are ignored. The most apparent is a parent who looks for pity, from what I’ve seen. It shows a total lack of acceptance. If you don’t enjoy your children, give them up. There’s a chance someone else will. Don’t deny the children you say you love a chance to live a better life. I myself would hate to be in an institution; that is my choice. If your only choices are murder a kid or put them in an institution, however, do the latter; it is up to the child to decide if they would rather be dead than institutionalized, not yours as a parent. After all, we put old people in nursing homes instead of murdering them, don’t we? Or care for them at home? oh dear he is so cute! How can this happen?! What causes people to go to these acts? It’s just awful. Neither of my children are typically verbal but they show me love in their way, how can people say such things about the bond being broken and love not being reciprocated?? That is just pure ignorance and so called ‘professionals’ (smh) spreading more of said ignorance. Sad sad day. One of the things I would like to see is for more people to feel that they *should* report instabilities, to widen the group of people who are aware that there could be a problem, to not see a visit from “cps” or another friend, and the question, as offensive in itself, but a check, that all is well. So, that we could stop treating the fear of instability (the mother who is considering killing the person she’s caring for, or the teen who is planning on shooting his girlfriend) as so impossible that we turn away. I once posted a concern on a blog I read, and then felt very bad. Because, I was wrong; But, on the off chance that I was right, that the mom was on edge? Maybe a comment could make the difference in someone seeking help? I couldn’t agree more. I would rather take a chance of being wrong than potentially saving a life. I’m sure London would voice this opinion to, but that option was taken away from him. I read that and briefly went off the rails. I wanted to give her a massive piece of my mind. I think others have probably done a much better job than I would have at that. Today, I emailed her about breaking stereotypes, gave links to the science behind the newer theories re. sensory/empathy overload, and links to autistic bloggers so she can get more exposure to the information that will help her practice, and help the mothers that she professes to want to help. If she’s operating off the “old school” perceptions and just dealing with the parents (especially if they’re the martyr type), her experience and exposure is lopsided and that needs to change. A lot of people really don’t seem to even be aware of the depth of autistic experience on the web. I hope this is the case, and I hope she takes advantage of the opportunity to learn. I’m really hoping that she’s a REAL professional who will listen to new information, and move away from the old “understanding” of autism. It feels like that story of the beached starfish (http://www.esc16.net/users/0020/FACES/Starfish%20Story.pdf) – we keep throwing them back in the ocean because each starfish makes a difference, but it’s huge task. Rebecca White you must understand that if a child expresses their love for a parent in a way that is different from the parent or not what society considers the norm then the assumption is that this child can’t express or reciprocate that love. Our assumption is that there are specific ways that children show their love for a parent and if a child does not say I love you mommy or give hugs; among some of our most “accepted” forms of expressing love then love is not being expressed by the child. But many know that’s a bias. When a parent(and everyone) allows themselves to stop assuming things about their autistic child and stop striving for our limited societal norm; when a parent really respects that their child has feelings and competence but has difficulty or a different way of showing them then one knows what’s true. Autistic people want love, to express love and to connect with others. That’s the truth which I and many know. When people assume or have been told that children with autism can’t reciprocate love our sympathy goes to the parent. Our society feels the pain for the parent. The real tragedy is London was the child of a parent who felt that if he could not be normal he should be dead. Who wants a society which feels this way? The revolution where people finally understand that autistic people are capable of love and having feelings cannot come soon enough. My prayers are with London. So sad to see yet another one of these type of posts. For me to hear these words made me realize how depressed and how heartbroken this man was. I knew he was saying these words because he was scared. Scared for our son. But I didn’t give it any importance. I was on a mission to find all the resources that I can find to help my son. This is heart wrenching. This psychologist should lose his license immediately for making statements like that. When discrimination occurs at that high of a level, there needs to be a frank conversation regarding laws against disability discrimination. Thank you for writing this beautiful post. It honors the memory of London McCabe. I am so very tired of it being the autistic who are treated as monsters and our murders justified when well people are murdered so routinely it is hard to see how it can be us who lack all those lovely human qualities the experts go at. I read about Logan when recovering physically from something I may never recover from emotionally. Unfortunately I read some comments from parents that again said they could relate to that desire and having just been completely brutalized in a hospital setting it is just too much entirely. I had sat out a call for autistic bloggers to write seeking justice for a single named autistic victim because I am tired of having to make the case that my life, our lives have value. It feels like bleeding at this point. I am so very sad for him, for those who could not see his beauty and for myself and those like me. If we survive the damage done by knowing how society views us is an injury quite horrible. I am going to follow Paula’s lead here and link to my most recent post. While mine is mainly about seclusion and restraint the haiku in it, had Logan and our entire neurological tribe who have been killed or brutalized for not being NT much on my mind. It is often easier to be upset for all of autistic kind than for something so personal that it is hard to write about. just because a persons forms of expression are deemed to be limited, it can not be said that they they do not love, do not express it and that others do not understand or experience the love that is shown. There are many ways to provide, show and experience love for one another and bonding can also be achieved in many ways. Unfortunately, some professionals can not able or unwilling to accept anything which they feel is outside the ‘norm’. Some feel that because they have been extensively educated and trained, they know everything and do not always except experience emanating from others as a valid means of increasing their knowledge. Knowledge is just a starting point in applying theory and should not be used as the only valid means of dealing with a situation. Each individual needs to be understood and listened to, for as individuals we are all different. I agree with CrankySpider. Autistics’ lives do count and so much can be learned from the beautiful thoughts they express. Emma gives me a whole new look at what it means to be human, and the love she expresses in writing about other humans fills me with awe and wonder. It’s murderers that should be castigated! Not to belittle this at all, but when I read the story originally, it just felt like another example of the self-centric culture that we live in and what that can wreak. The psychologist’s comments sum this up, a moral shrug at the mother’s actions, as if to say “She couldn’t be expected to put her life on hold for this child”. Just another example of how we don’t value life in this nation, and especially the life of our kids. I quote from above: “As the mother of an Autistic daughter who cannot communicate fluently with spoken language, but communicates beautifully by typing, I am continuously shocked by the inaccurate information that is rampant on the topic of autism and Autistic people. ” My own version: As the mother of a son who has autism and cannot communicate fluently with spoken language, but communicates beautifully by typing – with me and a few others – I am continuously shocked by the inaccurate information that is rampant on the topic of autism and Autistic people. People with autism feel deeply. These horrible deaths, I believe, are committed by people who are unable to cope with the challenges of parenting a child with autism. They are not committed by people who don’t believe their children feel emotion for them. We don’t need talking heads assessing what is going on in our lives, We need to find out who these people are and provide them more support and services to prevent desperate, horrific reactions. Hi Barbara – regarding the idea of support and services… I doubt any would disagree that this is an issue that needs to be discussed, but when it’s done (and it ALWAYS is brought up when the child is Autistic, but rarely if ever when a non-autistic child is murdered by a parent) it turns the conversation away from focusing on this child’s life being cut short and diminishes the horror of what the person who killed their child has done. I do not think, for a moment, that this is your intention at all. But you know, even if it IS true – and I imagine with some severely autistic children it probably is true that they can’t return a parent’s love – so what? That hardly makes it okay (or even understandable) that you would choose to throw that child off a bridge. Wasn’t there a guy a couple thousand years ago who said something like: anyone can love someone who shows you love, but the real test of being a human is to love someone who can’t or won’t love you back? Good post regarding the difference in how the two cases are reported, and sadly, quite true. Lynn (and Barbara) – Thank you for not being offended by my suggesting links… We are all learning here…. My father always says little knowledge is dangerous which is true in this case the Autism “experts” are sharing what little they know and making the rest up as the go along which in endangering the lives of Autistic people. I’m often told that my toddler on the spectrum is one of THE most loving children. I’m so thankful (blessed) that he’s affectionate, but if he wasn’t I would love him no less. Has this idiot ever considered that these parents-from-hell would have this behavior no matter if the child had Autism or not?! The news has stories of abuse way too often because the child “wouldn’t stop crying”. An evil person is an evil person no matter the situation. Don’t blame Autism. Autism is never fatal; the parents of Autistic people can be. Just sayin’.